Home Gadgets Gaming Kata Box now available at any Kata store and kiosk with FREE Kata Game controller! 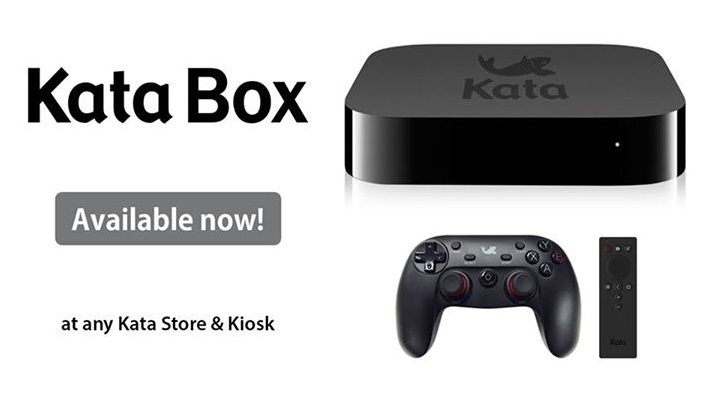 Kata Box now available at any Kata store and kiosk with FREE Kata Game controller! Great news! Kata Philippines has just announced that Kata Box is now available at any Kata store and kiosk for only P2,999 with FREE Kata Game controller. Limited stocks only. Get one now at any Kata outlets nationwide! Kata Box is a TV media box which allows you to stream content from the internet, apps, and smartphones directly to your TVs. Kata Box can play all types of media files from almost any kind of storage - whether you are using a flash drive, external hard disk or even just network storage. It effortlessly connects via an ethernet cable or through WiFi – allowing you to stream videos from over 100 apps or just using the internet.